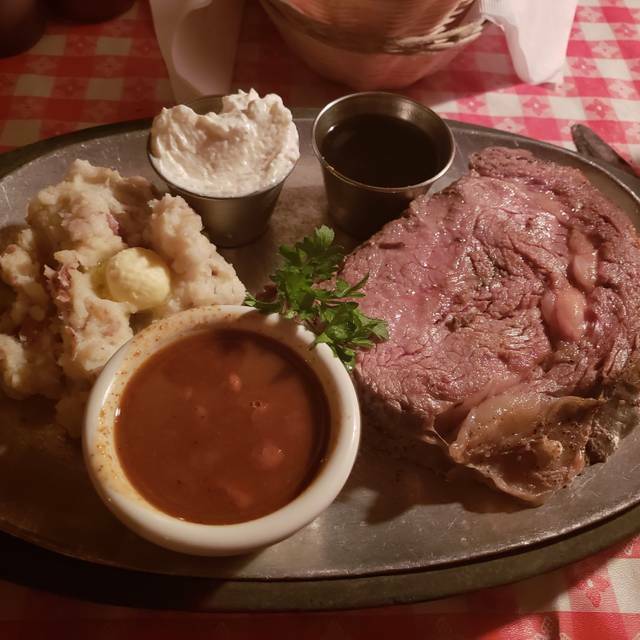 Trabuco Oaks Steak House is the perfect place to grab a bite to eat after a long day in the canyon or if you just want to get away from the hustle of the city crowds. 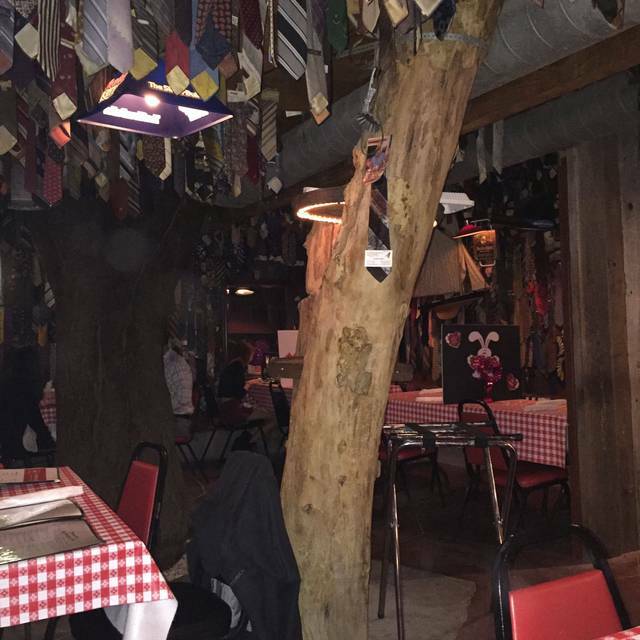 The rustic BBQ restaurant gently reminds everyone as they walk in that casual is the norm here by displaying cut ties from the ceiling. Enjoy a steak like the top sirloin, New York strip or porterhouse cooked to perfection. Trabuco Oaks understands that not everyone wants steak, so it offers entrŽes like the mesquite grilled chicken, Italian spaghetti or an order of fish and fries. Finish off the meal at Trabuco Oaks with a delicious dessert such as a hot fudge sundae or the famous hot cherry Gizmo, which is a cherry filling wrapped in a flour tortilla that has been deep fried and topped with ice cream, hot cherry sauce and whipped cream. Our most popular entrée! Enjoy a super flavorful aged juicy prime rib served with garlic bread, choice of salad, creamed horseradish, au jus, and choice of side. Only available Tuesdays, Wednesdays & Thursdays! All of our entrees include the following: Your choice of salad: Caesar or fresh green salad tossed in our homemade dressing. Your choice of side (no preservatives): Mashed potatoes, baked potato, fries or sweet potato fries. And of course, garlic toast & western beans! A great combination of fresh garden vegetables, steamed to perfection. If you want more add a set-up! My wife hates to be recognized for her birthday. I spoke to our server privately and said please don’t embarrass her and she brought a really nice dessert for her! After she lit the candle and before she walked away she said we don’t want to embarrass you we want you to come back! I scored noise level loud we sat in the back room with our large party and where the noise sorry hope no one complained, we enjoyed our evening as we always do, and we'll be back again. Service was exceptional! Love the location, ambiance, everything. The meat was fantastic, worth the value, but the veggies left a little something to be desired. Nevertheless, we would come back!! We having been coming here for years, still love it like the first time. The service is amazing, there are many long timers still there and they are awesome. The food is the best. 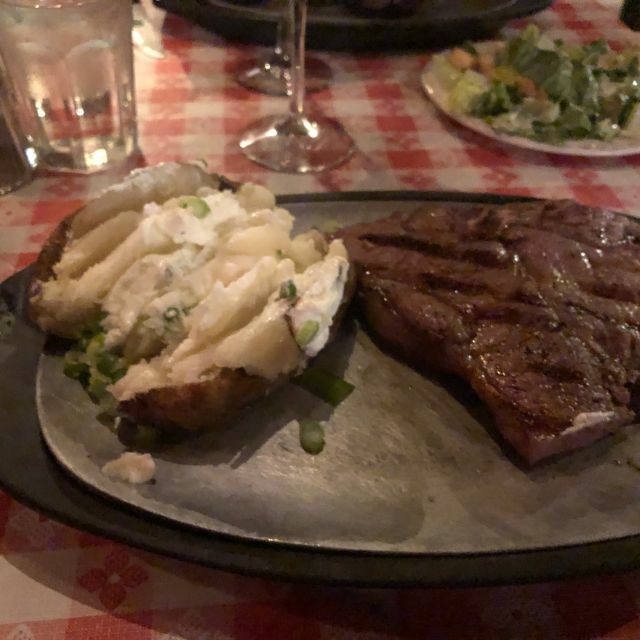 We always want to venture out to something new, however, we end up at Trabuco Oaks Steakhouse because we can't find anything better. Thank you! It was a bit of a dive. Dirty gravel parking lot and odd requirement to use valet parking service to have my car parked 20 feet away. Food and service was good. My only complaints: the drinks ... ordered an Old Fashioned and the glass was heaping with ice. There was more ice than beverage in that glass. Didn’t care for that. Had to use a spoon and get some of that ice out. Try using those gigantic ice cube, or ice balls. They fill up a good portion of the glass but melt very slowly. The drink doesn’t end up all watered down. Second complaint was the salad. It was mostly white iceberg lettuce. When I go to Howard Johnson’s I expect iceberg. When I go to Trabuco Oaks, I want a nice green leaf, red leaf, etc. Please. Iceberg is what my mother used when I was a kid. 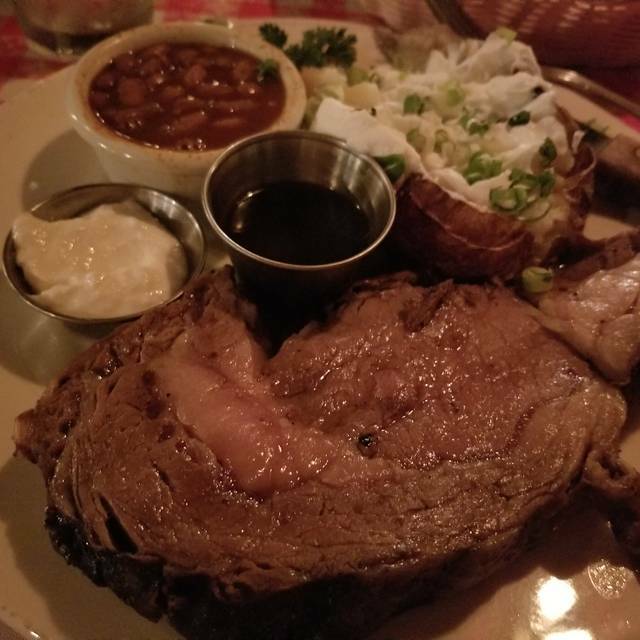 The prime rib was very tasty and cooked perfectly! The Au Jus was equally good. Didn’t care for the horseradish butter, and there was a TON of it wasted on our table. The sweet potato fries were very good, also. Good filet. They had no rare prime rib but didn’t tell us until we sent back the over cooked meat. And prime rib was their special. Best steak house for special times and events. We’re never disappointed. Try the rib-eye. 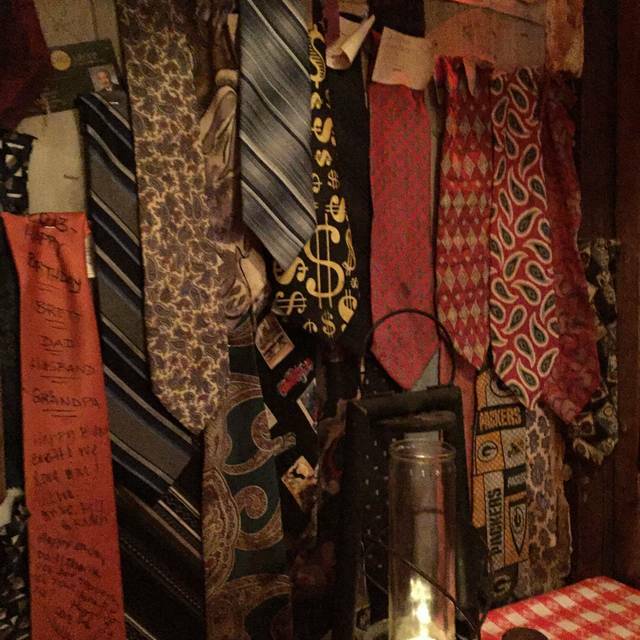 It was a little too dark and the ties on the ceiling really need to go. It makes the ceiling feel too low. We actually talked about leaving the minute we sat down, but we did stay. 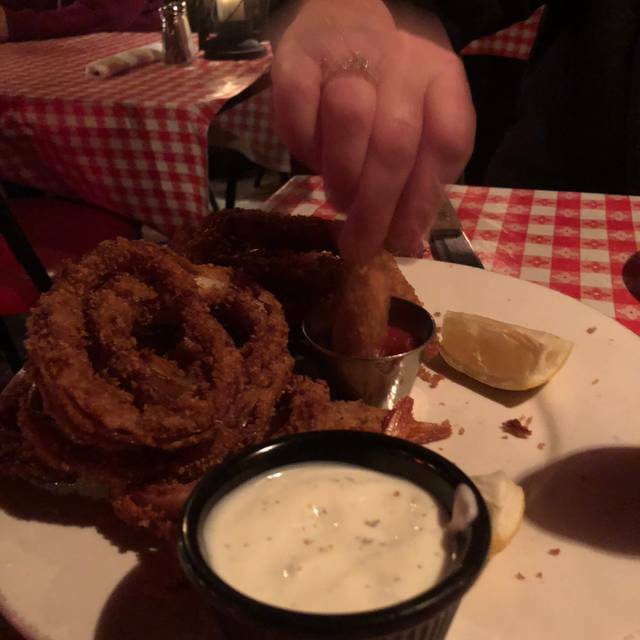 The onion rings were outstanding. I do not have a feeling that we will go back. I also do NOT like plastic table cloths. We never ate at Trabuco Oaks that night because there was no parking available. We tried to park at the market next door, but the owner there said we couldn’t (although the market was closed). There is no street parking, and after driving around for 10 minutes trying to find a spot some where NEAR the restaurant, we returned to the restaurant to find a large truck parked where there wasn’t one before. When questioned about the truck, the parking attendant said that he (the attendant) told the driver that he could park there for $10...we were not offered that same accommodation. Terrible customer service by the attendants (who are the front line for the restaurant) from a top rated OC steakhouse, so we left and had s great dinner at Wood Ranch. Fun place to experience. Parking is an issue and had to pay to park down the road. Very nice history and good food. I would recommend expect for the parking issue. Food was ok but not spectacular. It has serious parking issues and valet only. Ambience is great and service was good. Not what it used to be. We loved the online reservation ability. We showed up a little early and our table was ready. Great service and wonderful food. The filet here never disappoints. Extremely friendly wait staff...steak was excellent...will definitely be back! We had 7p reservations but did not get sat until 7:30. Bar tender was very accommodating and helped us pass the time. Once we sat, we had a great meal. Always a great place for a good steak, addictive bread and calm easy evening. Staff is always quite friendly and attentive. Take a break from the OC hustle and have a nice night here. Great food, great service and atmosphere. Parking is a challenge. Enjoyed the history and novelty atmosphere. The food quality did not match the price. The employees were nice, polite and attentive. Cocktails were strong and tasty. I had the lobster and my husband, the birthday boy had the steak. Both were delicious! Ambience was perfect and the staff attentive! We’ll be going back! Trabuco Oaks Steakhouse has a quirky and fun atmosphere with great service and deliscious food! First time we’ve been back since their remodel. Missing a little charm when you first walk in but still an outstanding experience. Great food, great staff. This place has history and a reputation for great food. We took our daughter for her birthday. Dad wore a tie on purpose. haha... Good times. Excellent filet. We'll be back. We went to celebrate two birthdays. The food was excellent! Service was OK. Baked Potato came out not fully baked, prime rib was average. Ambiance is neat, I hadn’t been here for many years. Servers were friendly, as always. Toast was almost burnt, but tasty. Cost for meal was fine, if meal had been a bit more excellent. Fun place to go for a unique setting and very good food. The steak was perfectly prepared. This is a Steakhouse so no real vegetarian options. We love the food here and I like some of the new menu items. What I was a little annoyed with is the change from self-parking to valet during our sitting. We parked our own car in a space close to the exit, when we were leaving, it began to rain and we were asked to wait to leave until the valet pulled out our car, even though it was clear from other vehicles and we had the key. We would have preferred to just be allowed to leave rather than wait in the rain. We went on an extremely busy night and were still treated as if we were the only couple in the place ! Great food and service.. I highly recommend and cant wait to go back. I have gone to Trabuco Oaks many times, and each time is an amazing experience! The food is delicious (the salad dressing is my all-time favorite), the ambiance is unique (cut ties line the walls), and the people are friendly (I am always greeted with a smile). 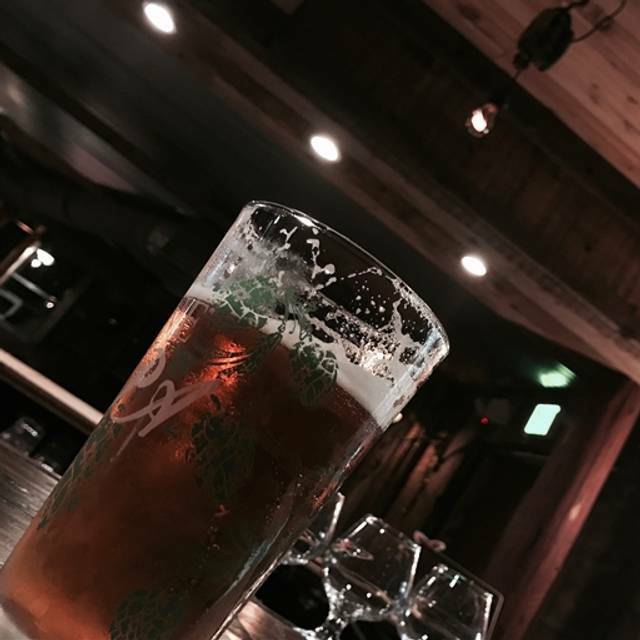 Trabuco Oaks is perfect for a fun date night or special event. My sons really liked the location and atmosphere. Loved their steaks as well. First time and we had a really good time and great food. I've been to Trabuco Oaks several times over the years. Since the last time I went, they've removed all the clipped neckties and removed the few booths that used to be in the first dining area near the front of the restaurant. I actually like the cleaner look. The food seemed to be not quite as good as in the past, with the steaks missing the sear/char typical of a fire grilled steak. I'll be back to give it another chance, however. The top sirloin was not as tender as I expected but tasted very good. Husband’s filet mignon was wonderful. Great atmosphere. Love this place and will definitely return! Everything was good, better than good. Their Gizmo deserts are awesome. I wish they would follow their steak meter better for cooking though. I asked for a medium well done porterhouse steak, it was much closer to rare then it was medium. I ate it because it took a long time to be severed and I didn't want to wait for a redo. This was the third time there my steak didn't come out as I asked for it to be cooked. The place is really quite unique and that is what keeps us coming back! The food has been disappointing each time unfortunately. The steaks are about the only thing thats decent. The fish is not flavorful. The ribs don't taste great.... too sugary bbq sauce. Salads and apps are just not great. BUT, we love the place itself. The drinks are good and the ambience is fun. Our waitress was great but we did wait a lot. SInce we were there to visit it was ok to wait.